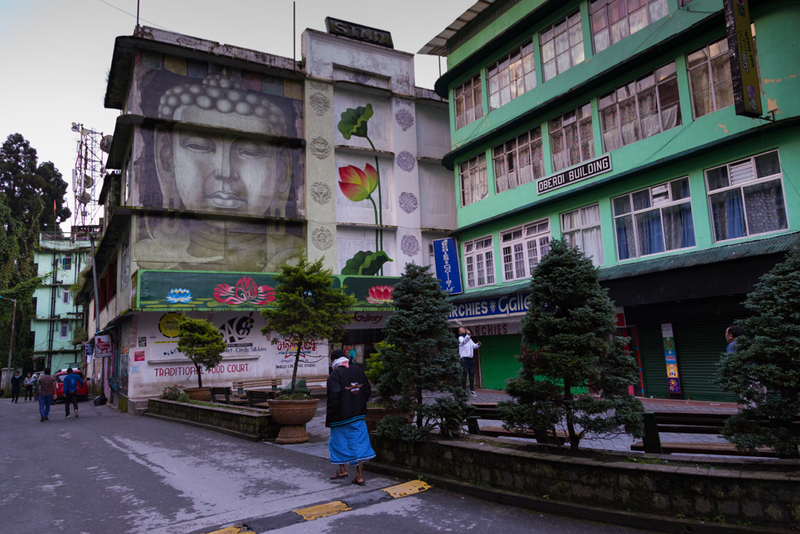 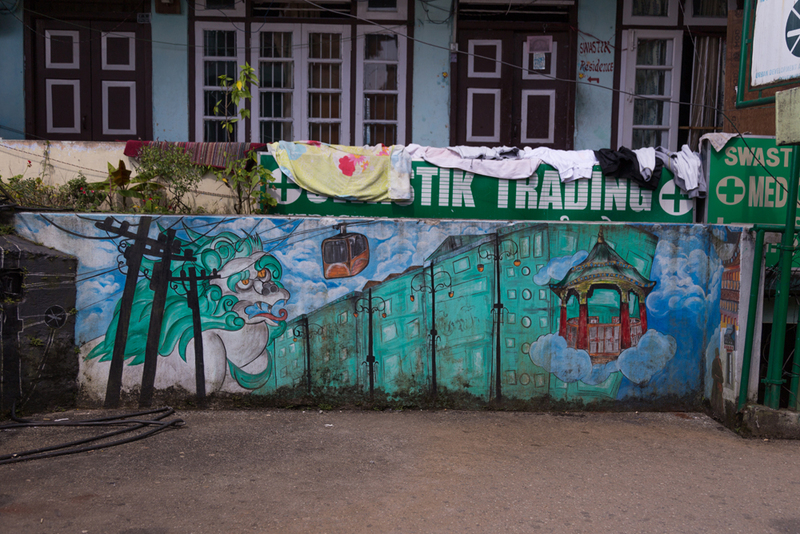 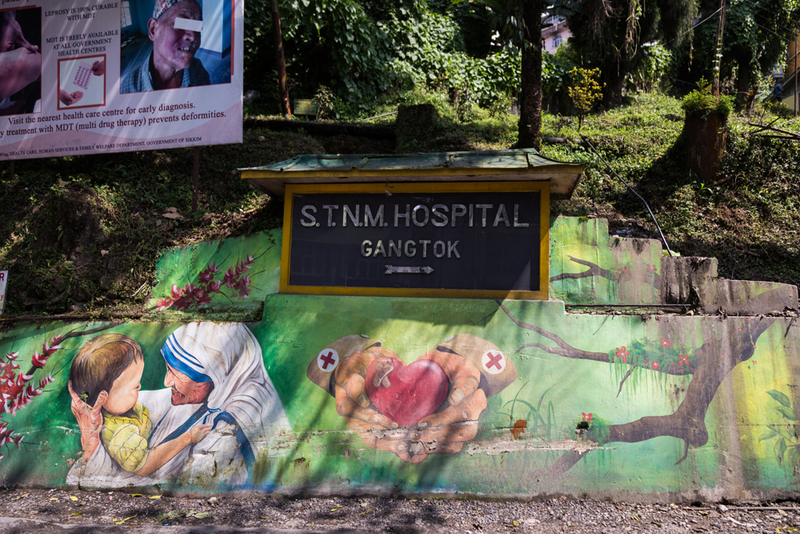 Gangtok, the capital city of the state of Sikkim is unique in many of the ways. 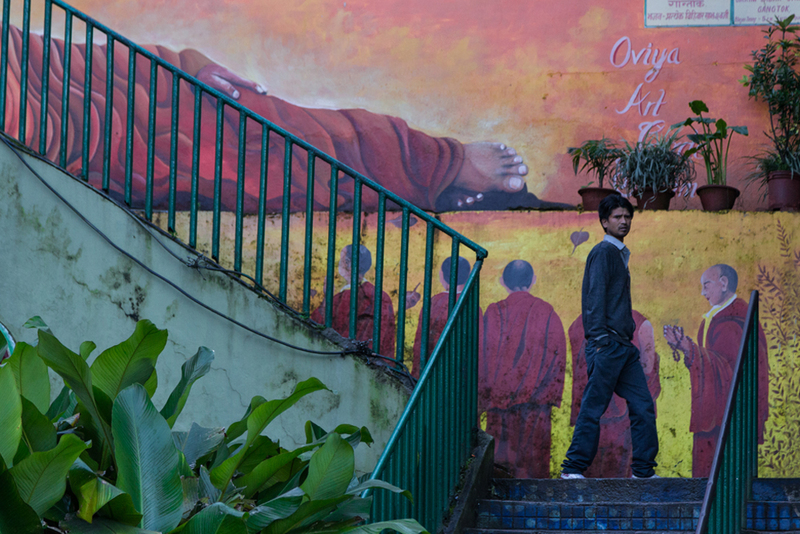 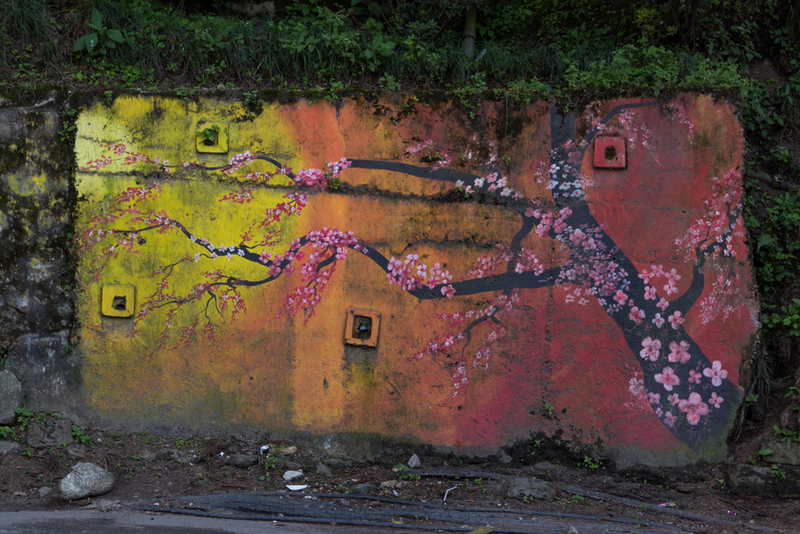 The city is clean and beautiful with streets full of graffiti art. 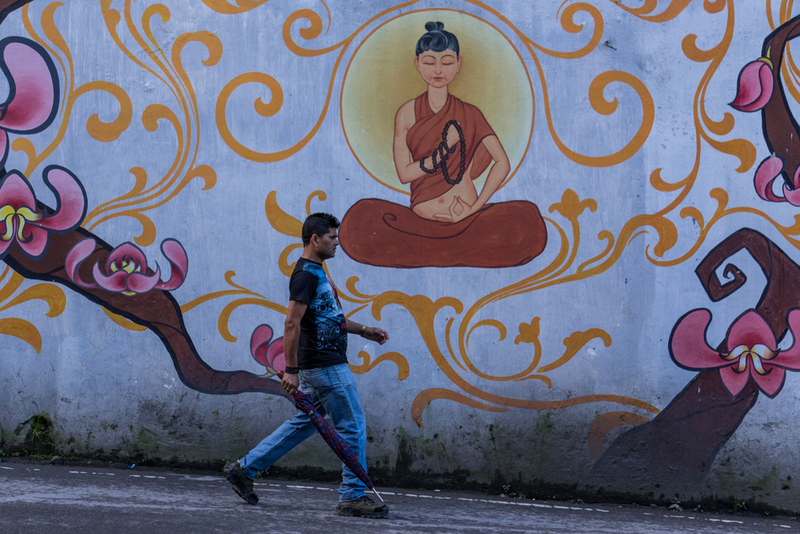 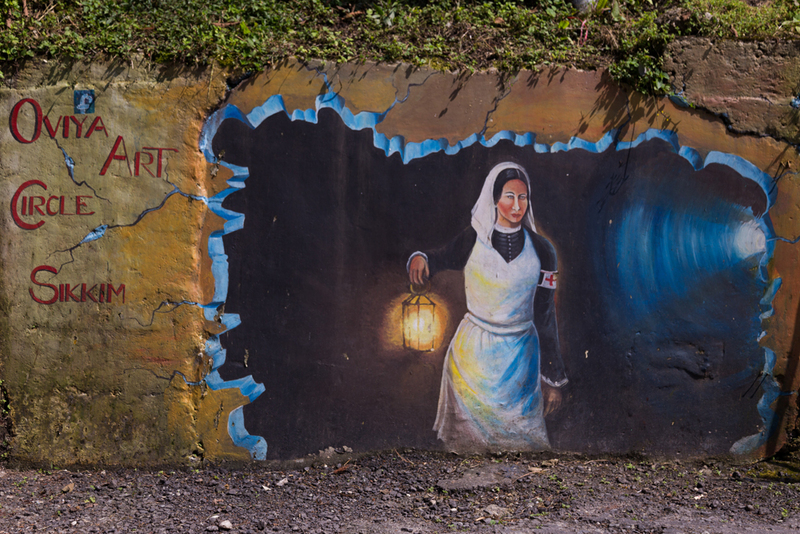 Most of them are either religious, belonging to buddhism or dedicated to the natural beauty of Sikkim. 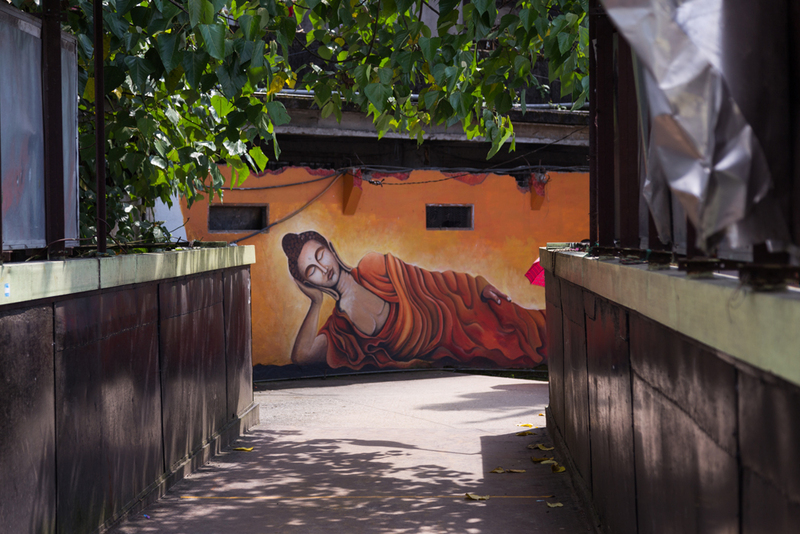 Most of the graffitis are contemporary in look with little or no influence from the thanka style of painting, the traditional style of art. 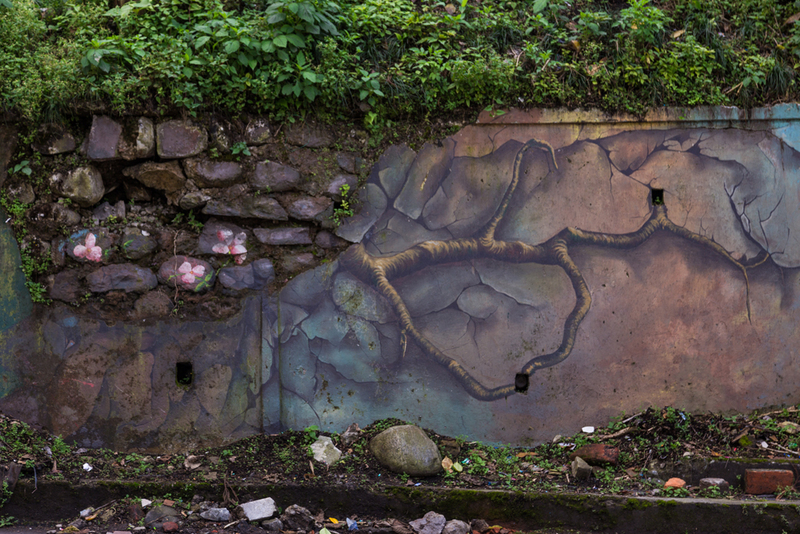 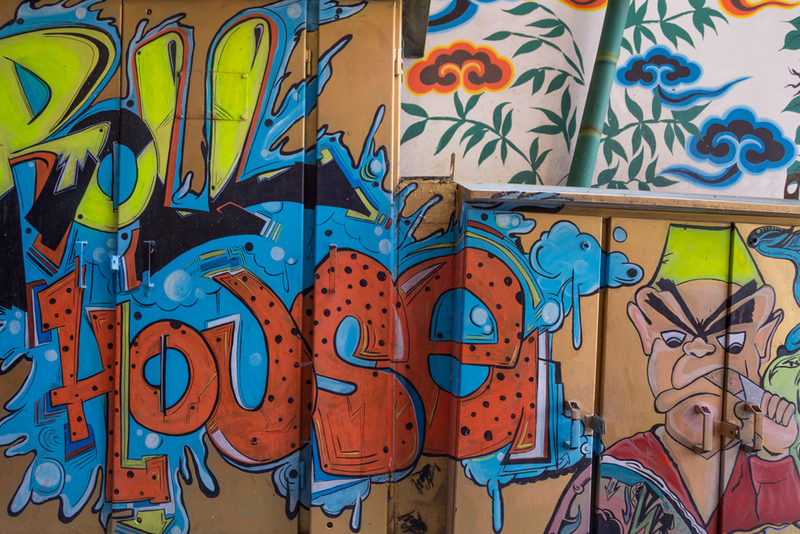 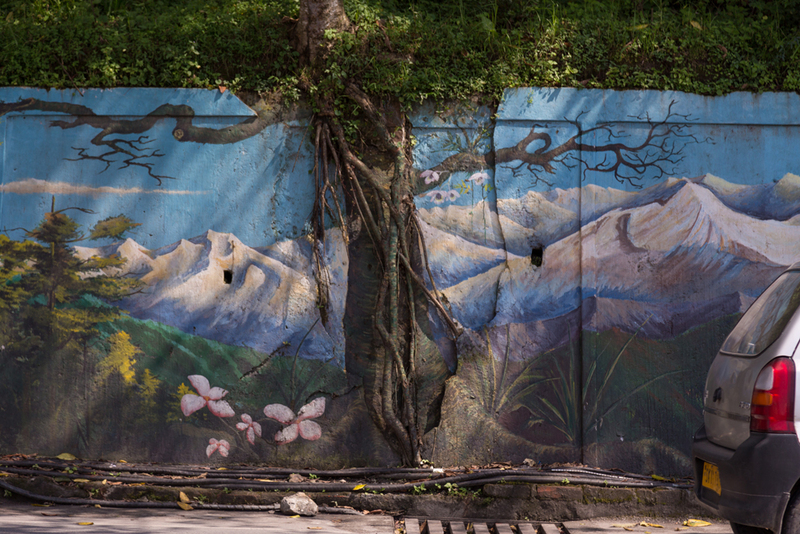 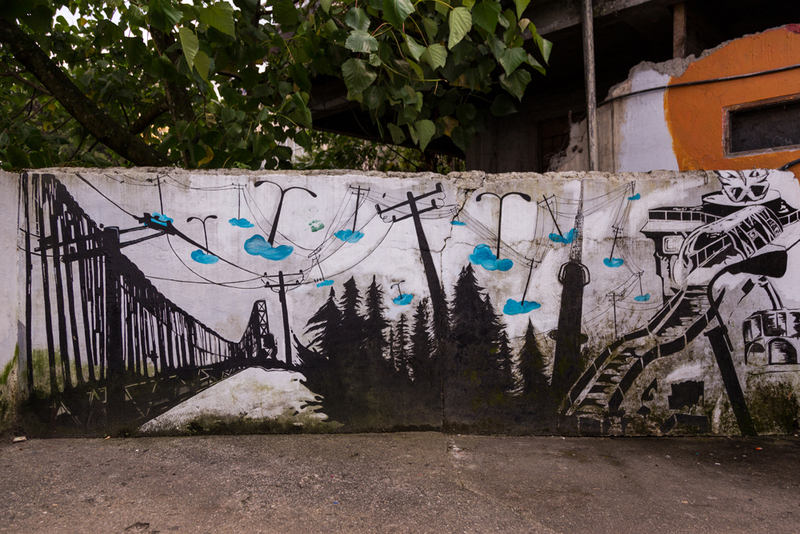 At places the graffiti are painted creatively to merge with the surroundings.